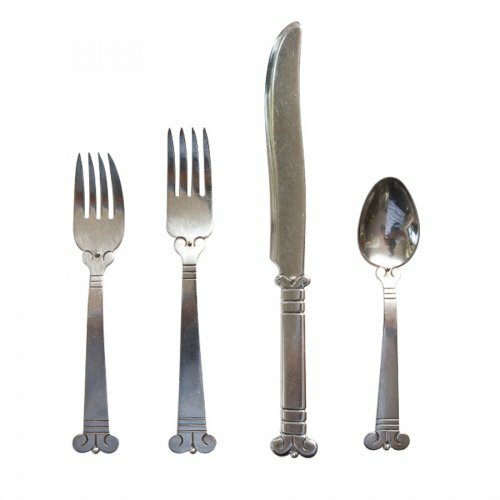 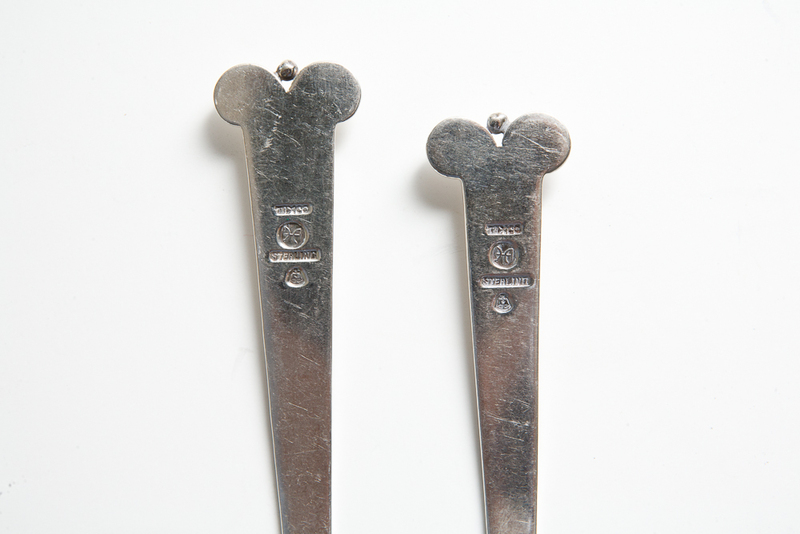 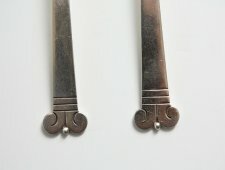 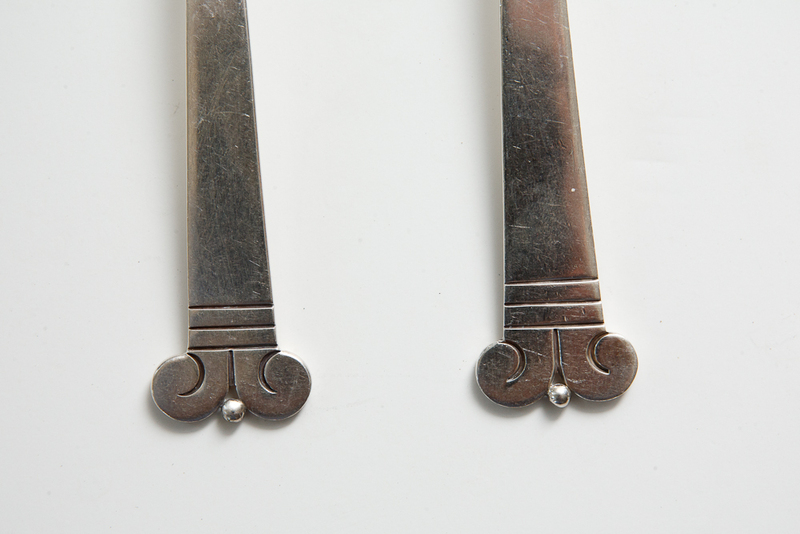 1940's Hector Aguilar all sterling flatware set. Eight place settings, with four pieces each, totaling (32) pieces. 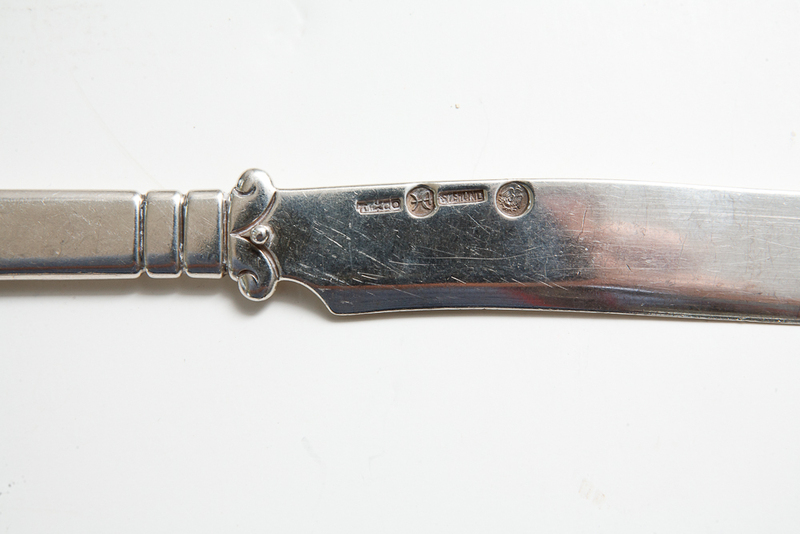 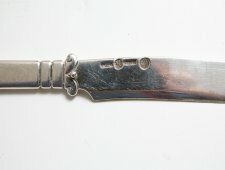 All pieces are sterling, including knife blades.